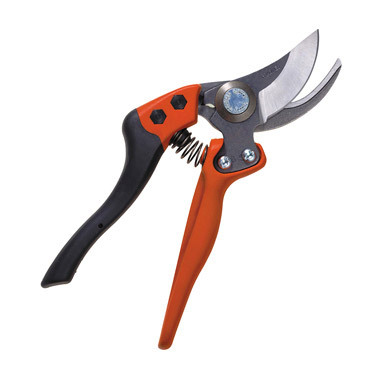 Bahco ERGO garden secateurs - developed for the pruning of flowers, bushes and trees. Narrow cutting head enables pruning in confined spaces. Horizontal and vertical inclination of the cutting head enables the natural alignment of hand and arm to prevent tendon and nerve strain. Soft-grip on upper handle for added comfort. Xylan coated blade for easy precision cutting.